If you strongly prefer a name with deep meaning then you must look at our collection of Sanskrit Baby Names for boys and girls. Sanskrit names often have thoughtful meanings and they make a great choice when it comes to naming your baby. We've hand picked beautiful Sanskrit baby names. These baby names are taken from ancient Hindu Sanskrit literature and inspired by philosophy and spirituality. You’ll find rare, uncommon, religious and traditional Sanskrit names here. A precious little bundle of joy has just entered your lives! As parents, you are excited to give the best name to your baby. A name that is beautiful and melodious, reflecting the richness of Indian culture and at the same time possessing a deep significant meaning would be the ideal choice. Where would you find such a name which is an amalgam of all these qualities? Of course, in that language of ancient India which is the mother of all modern languages- Sanskrit. The baby names derived from this sonorous language have a wealth of meaning. These traditional names connect us to our roots. Sanskrit means "refined or purified". The words of this sophisticated language have a rich and cultured effect. The language has primordial sounds and in a very systematic manner follows the natural way sounds are produced in the human mouth. It is highly versatile with a huge vocabulary and immense power of expression. It allows you a wide choice. So give your little one the perfect gift to last a lifetime and even more- a classical, sublime and profound name from the treasure-trove of Sanskrit. Check out our Sanskrit Baby Boy Name & Sanskrit Baby Girl Name list along with their Sanskrit meanings. In this list you'll find Sanskrit Boy Names along with their literal and intended meanings. In this list you'll find Sanskrit Girl Names along with their literal and intended meanings. Sanskrit is the language of the Vedas, the Upanishads, the Puranas, the Mahabharata, the Ramayana, the Bhagwad Gita, the Buddhist and Jain texts. Known as 'Devavani' or 'Devabhasha', it is the language of rituals, mantras, chants and hymns intrinsic to Indian culture and beliefs. 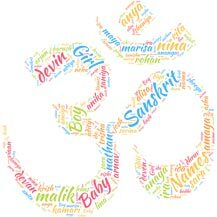 Baby names selected from this divine language will have a spiritual connect and sacred feel. Checkout these Sanskrit name ideas to get inspiration to come up with your very own perfect name. So you are having a hard time coming up with unique baby names and need some help! When You say 'Unique', you are thinking more about names that aren't very common. A name which is unusual and distinctive. Here are some cool unique name suggestions that are most popular on pitarau.com. Lord Shiva is known by several names. These names never go out of style – they've been among the most popular names for boys for centuries. Scroll down for a selection of popular baby names from the Shiva sahasranama. The Hindu Puranas are collection of Indian literatures of wide range topics, myths and legends. It has 18 Maha Puranas and 18 Upa Puranas. The Bhagavata Purana has been most popular text in India. Here are 25 unique names from the Puranas. 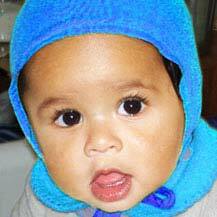 Are you looking for classy, fashionable and in vogue Indian names for your girl or boy baby? These traditional Hindu baby names are classic examples and also they stand the test of time. If you look around you will see babies are named very carefully by their parents. Some are modern names (cool or trendy whatever you call it) where as some are more classic or traditional names. Few get creative and spell cleverly and some find really unique and unexpected names. The Nakshatra in which the moon is placed at the time&nbsp;of your child's birth is his/her birth Nakshatra. Each Nakshatra has associated sounds. If your child's name begins with the birth Nakshatra sound, it will be greatly instrumental in determining his/her &nbsp;personality and will bring good fortune and protection. Bharani (Sanskrit: भरणी) is the second Nakshatra in Hindu astronomy. It is ruled by Shukra (the planet Venus). Love is the most beautiful of all emotions. So what better place to draw inspiration for baby names than from love? Presenting you list of 100 plus gorgeous Indian baby names inspired by love. Holi 2017 Special - Holi is just around the corner. On this Holi lets checkout&nbsp;baby names inspired by colours. Holi is the festival of colours and there's no fun in abstaining from colours on this occasion. This&nbsp;Festival brings a lot of fun and enjoyment for people in India and abroad.&nbsp;What better place to draw inspiration for baby names than from this unique and joyous Holi spirit. Keeping Holi in mind, today we're presenting you list of colourful Hindu baby names.